Researchers in Lille and Paris have demonstrated that mutations in the melatonin receptor gene (melatonin or the "hormone of darkness" induces sleep) lead to an almost seven-fold increase in the risk of developing type 2 diabetes. This research, which was published online in Nature Genetics on January 29, 2012, could contribute to the development of new drugs for the treatment or prevention of this metabolic disease. Type 2 diabetes is characterized by excess blood glucose and increased resistance to insulin. It is the most common form of the disease and affects 300 million people in the world, including 3 million in France. This figure should double in the next few years, driven by the obesity epidemic and the disappearance of ancestral lifestyles. It is known that genetic factors, combined with a high-fat, high-sugar diet and lack of exercise, can also contribute to the onset of the disease. Furthermore, several studies have shown that sleeping disorders that affect the duration and quality of sleep are also high risk factors. Shift workers, for example, are at greater risk of developing the disease. No previous research has described any mechanism linking the biological clock to diabetes. The researchers focused their attention on the receptor of a hormone called melatonin, which is produced by the pineal gland as light fades. Melatonin, also known as the hormone of darkness, can be seen as a biological "time-keeper," synchronizing biological rhythms with nightfall. The research teams sequenced the MT2 gene, which encodes a melatonin receptor, in 7,600 diabetics and persons with normal glycemia. 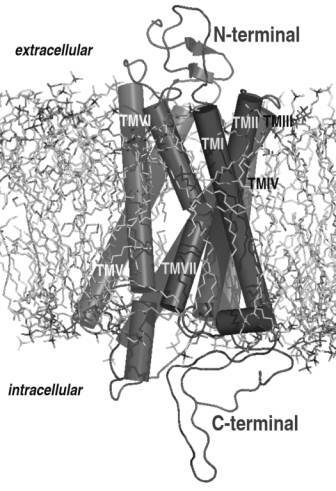 They found 40 rare mutations that modify the protein structure of the MT2 melatonin receptor, 14 of which made the receptor in question non-functional. Researchers studying a rare, lethal childhood tumor of the brainstem discovered that nearly 80 percent of the tumors have mutations in genes not previously tied to cancer. Early evidence suggests the alterations play a unique role in other aggressive pediatric brain tumors as well. The findings from the St. Jude Children's Research Hospital – Washington University Pediatric Cancer Genome Project (PCGP) offer important insight into a poorly understood tumor that kills more than 90 percent of affected patients within two years. The tumor, diffuse intrinsic pontine glioma (DIPG), is found almost exclusively in children and accounts for 10 to 15 percent of pediatric tumors of the brain and central nervous system. "We are hopeful that identifying these mutations will lead us to new selective therapeutic targets, which are particularly important since this tumor cannot be treated surgically and still lacks effective therapies," said Dr. Suzanne Baker, co-leader of the St. Jude Neurobiology and Brain Tumor Program and a member of the St. Jude Department of Developmental Neurobiology. She is a corresponding author of the study published in the January 29, 2012 online edition of Nature Genetics. DIPG is an extremely invasive tumor that occurs in the brainstem, which is at the base of the skull and controls such vital functions as breathing and heart rate. DIPG cannot be cured by surgery and is accurately diagnosed by non-invasive imaging. As a result, DIPG is rarely biopsied in the U.S. and little is known about it. Cancer occurs when normal gene activity is disrupted, allowing for the unchecked cell growth and spread that makes cancer so lethal. An international research team led by the Research Institute of the McGill University Health Centre (RI MUHC) in Montreal, Canada has made a major genetic breakthrough that could change the way pediatric cancers are treated in the future. The researchers identified two genetic mutations responsible for up to 40 per cent of glioblastomas in children - a fatal cancer of the brain that is unresponsive to chemotherapy and radiotherapy treatment. The mutations were found to be involved in DNA regulation, which could explain the resistance to traditional treatments, and may have significant implications on the treatment of other cancers. The study was published online on January 29, 2012 in Nature. Another article, by a different research team, independently reported related findings online on January 29, 2012 in Nature Genetics (see separate article in BioQuick News, “Histone Mutations Associated with Aggressive Childhood Brain Tumors”). Using the knowledge and advanced technology of the team from the McGill University and Génome Québec Innovation Centre, the researchers identified two mutations in an important gene known as the histone H3.3 gene. This gene, one of the guardians of our genetic heritage, is key to modulating the expression of our genes. "These mutations prevent the cells from differentiating normally and help protect the genetic information of the tumor, making it less sensitive to radiotherapy and chemotherapy," says Dr. Nada Jabado, hematologist-oncologist at The Montreal Children's Hospital of the MUHC and principal investigator of the study. "This research helps explain the ineffectiveness of conventional treatments against cancer in children and adolescents – we've been failing to hit the right spot," says Dr. Jabado, who is also an Associate Professor of Pediatrics at McGill University.